In numbers we need to count the correct number of object and then color the picture accordingly. This activity develops the skills of counting. 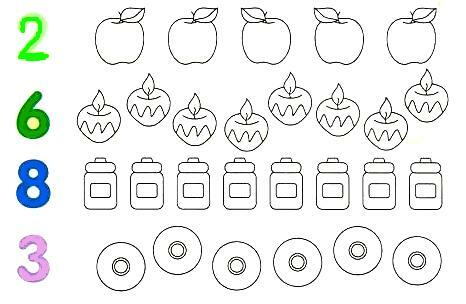 The fun-ideas of learning counting by coloring the correct number of object that creates the awareness of the basic concept of counting in math. Here we mainly need quantitative analysis. Kids will have fun while learning counting and coloring the page. We will enjoy counting and coloring the correct number of objects mentioned. Parents and teachers can also encourage and guide the kids to count and color the objects. It should create a joyful learning environment.